We are your one stop shop for drywall ceiling repair and installation services. “Drywall Repair North Hollywood” is your one stop shop for all your drywall needs. We are renowned specialists when it comes to drywalls, ceilings, and proficiently handle every repair and maintenance task using efficient and safe methods and techniques. We cater to both residential and commercial customers and provide high quality services at an affordable rate. Our customers are our priority and we make each one of them feel special and provide personalized services based on the varying needs of our customers. It is with great pride that we offer exceptional customer service and guarantee our clients are fully satisfied with the products and services. 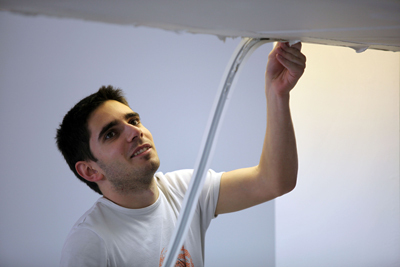 Our skilled technicians are highly qualified to take on all kinds of drywall ceiling repair services and are familiar with the latest trends and advancement in the drywall industry. They are trained to address and resolve all issues associated with your ceilings and walls alongside driving well equipped service vehicles to ensure that everything is ready when they visit your place. In addition, our drywall products are highly dependable, since we have teamed up with the best brands in the industry. We provide full service to our customers and at the beginning of every project a thorough assessment is conducted to make sure everything is reviewed, so you will not face problems in the future. Every pipe and corner is checked, so everything is good to go. If there are moisture or water damages, we seek the root cause of the problem and fix it first before repairing your walls. This way, the same problem will not resurface in the future. It is our goal that everything is in order and the services delivered meet all your expectations. At Drywall Repair North Hollywood, you can never be wrong with your choice. We pride ourselves in being the best in the field and guarantee that you will receive nothing but high quality products and services from the beginning of the project till the end. Call us for a quote right now!